With recreational marijuana already legal up and down the West Coast, more Canadians may let down their guard and admit to U.S. authorities that they’ve used marijuana — which can get foreigners barred from entering the country. WASHINGTON — Canada’s likely move to completely legalize marijuana next year promises to produce immediate spillover effects in the United States, starting with increased confusion at the U.S.-Canadian border. “I’m expecting my business to boom,” said Len Saunders, an immigration attorney from Blaine, on the Washington side of the border. With recreational marijuana already legal up and down the West Coast, from Alaska to California, he said, more Canadians may let down their guard and admit to U.S. authorities that they’ve used marijuana, reason enough to get foreigners barred from entering the country. Beyond that, pot retailers and legalization backers say it’s difficult to predict exactly what might happen if Canada, as is expected on July 1, 2018, becomes only the second nation in the world to fully legalize pot for anyone over 18. 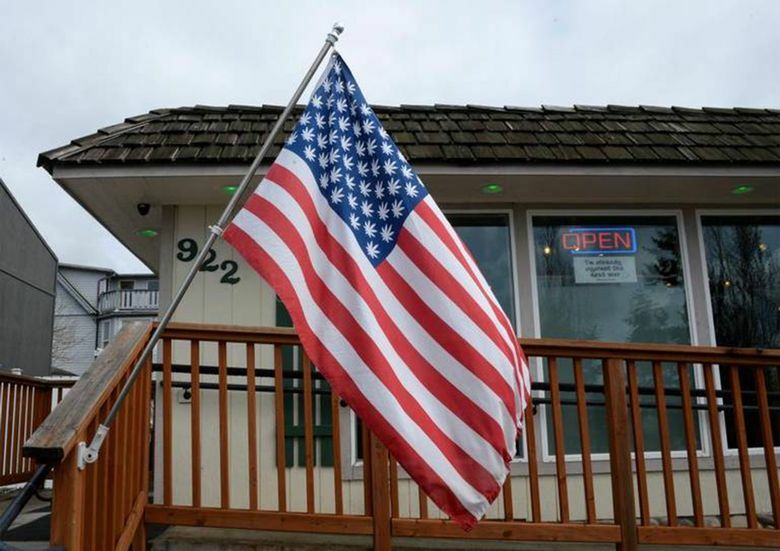 Even with such a move, Jacob Lamont figures the Canadian customers will keep coming to Evergreen Cannabis, his pot shop in Blaine, just a few blocks from the border. U.S. Rep. Earl Blumenauer, D-Ore., a longtime champion of legalization, said it could be a game changer for Congress. Saunders said that even Canadian Prime Minister Justin Trudeau, as a private citizen, could be denied entry since he has admitted to smoking marijuana in the past. Saunders is advising people not to lie to border authorities but to refuse to answer any questions about past pot use. Saunders said Canadians who were barred could apply for a waiver, paying $585 but then having to wait for months to get permission to enter the country. He said the requests are rarely disapproved, but he got his first denial last month for a case involving a 20-year-old Canadian student who had admitted smoking pot to an agent. Saunders called it the “first change I’ve seen” and predicted that it’s a sign of more to come from the Trump administration. Last month, Department of Homeland Security (DHS) Secretary John Kelly said there would be no letup in fighting marijuana, calling it a “potentially dangerous gateway drug” and saying his agency would continue to arrest and investigate those possessing it. With summer approaching, Lamont is expecting more business from Canadians. He said they accounted for up to 75 percent of his business as the local population booms during the tourism season. And he said he was warning his Canadian customers that they don’t need to incriminate themselves at the border. Lamont said he’d be watching the nuts and bolts of Canada’s legalization plan as it develops, but he predicted he’ll be able to sell marijuana at lower prices, depending on how much tax is imposed by the Canadian government. For Ranta, the Canadian music journalist, the cost of applying for a waiver is too steep, nearly as much as the $650 he pays each month for rent. Ranta said he has scrapped his plans to cover the Sasquatch Music Festival in Central Washington over Memorial Day weekend. He’s said he won’t be visiting his family’s cottage in Point Roberts, Washington, where he spent summers growing up. And he said he and his wife have missed their regular trips to Bellingham, where they shopped at Trader Joe’s.